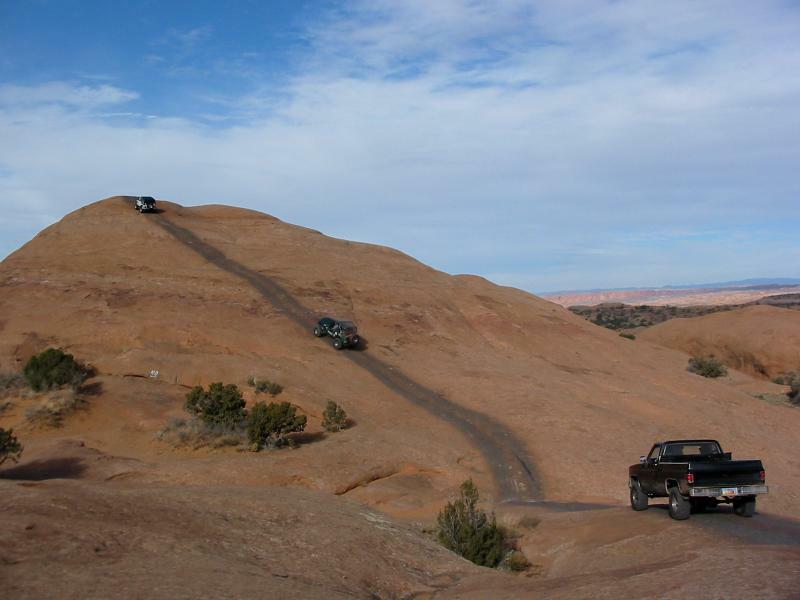 A weekday trip will follow most of the Hell's Revenge trail route but will emphasize the bypasses at the difficult obstacles. 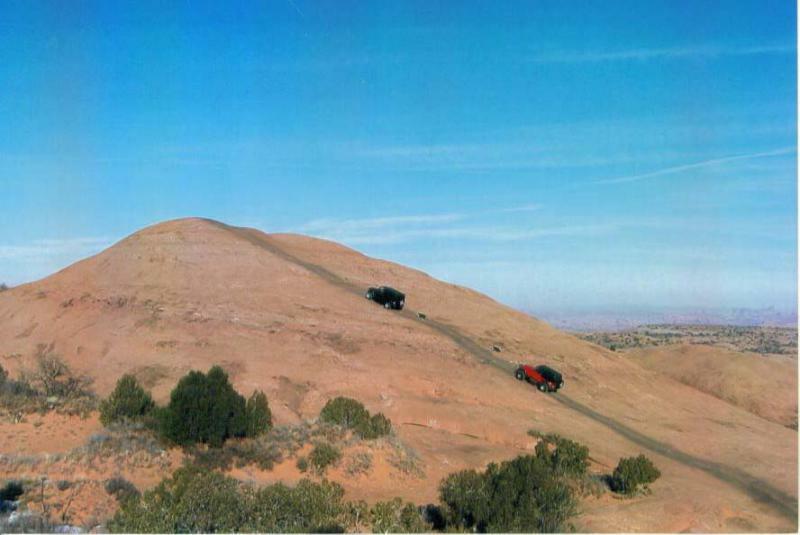 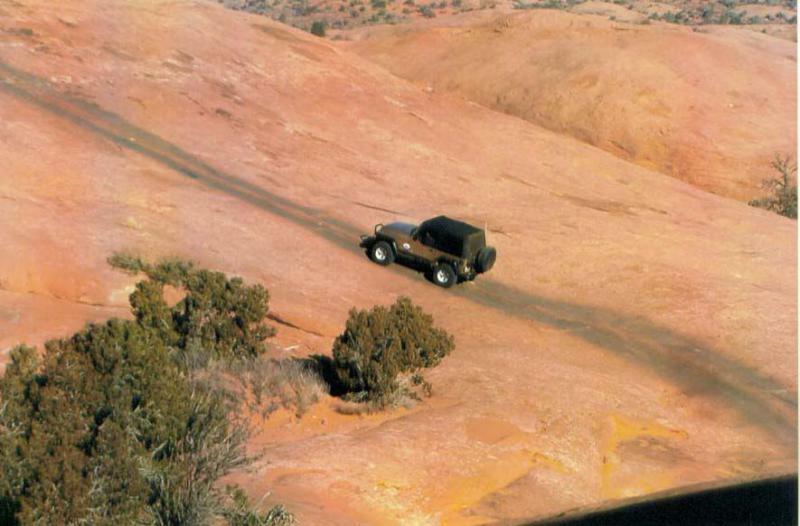 The scenery and many of the thrills of driving long stretches of slickrock remain, but the emphasis will be on making the trail accessible to stock vehicles and drivers not anxious to break their equipment. 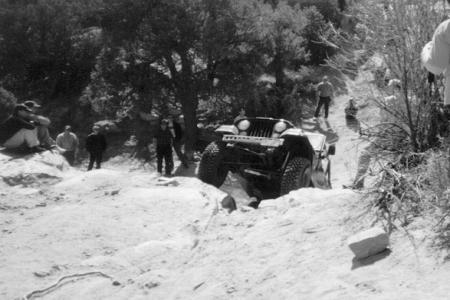 Please see the Hell's Revenge description. 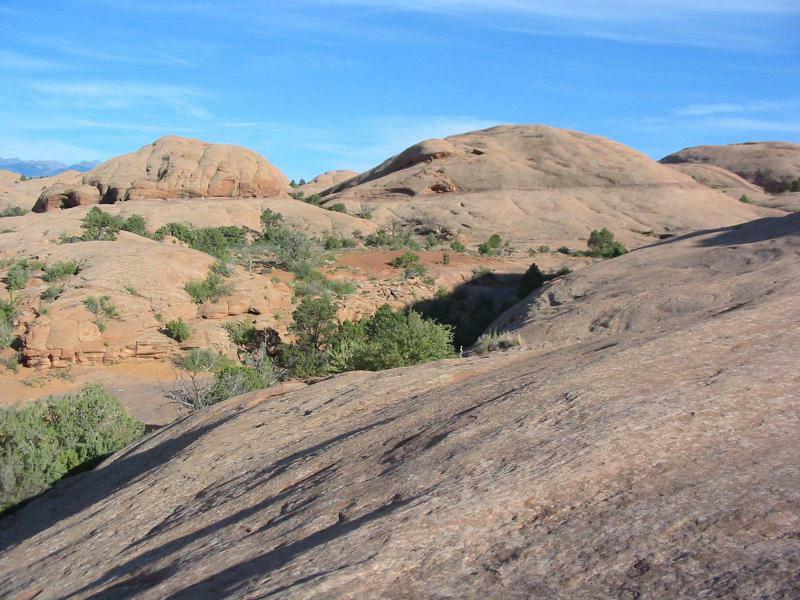 This trail has been carefully selected by its leader to allow participants to enjoy the fun slickrock climbs and descents of the Hell's Revenge Trail and yet bypass some of the hair raising and nerve racking challenges with somewhat calmer alternatives. 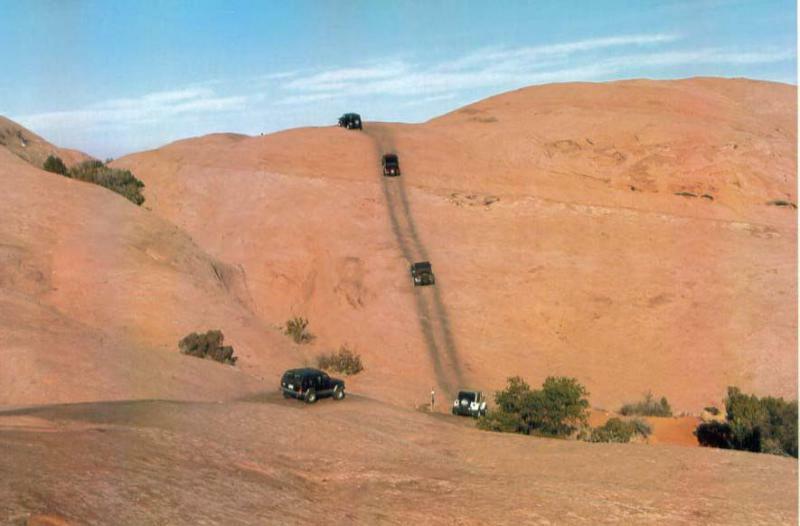 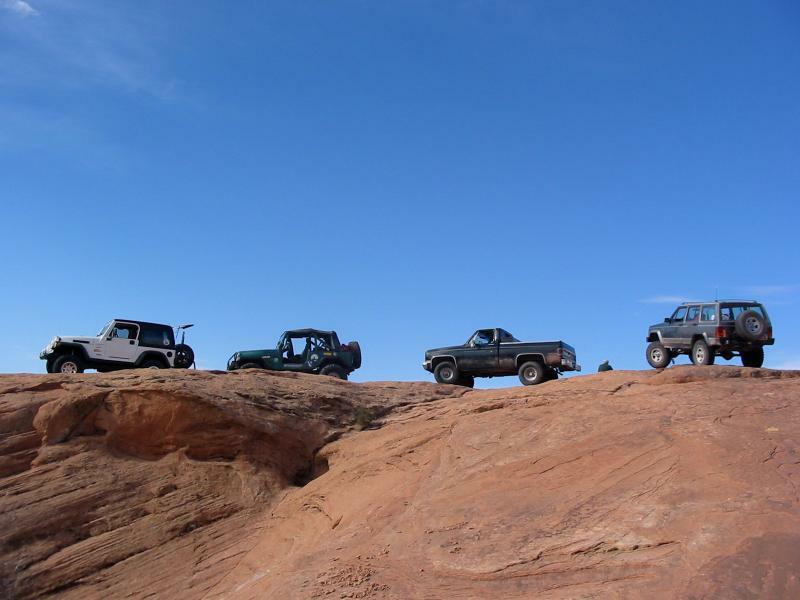 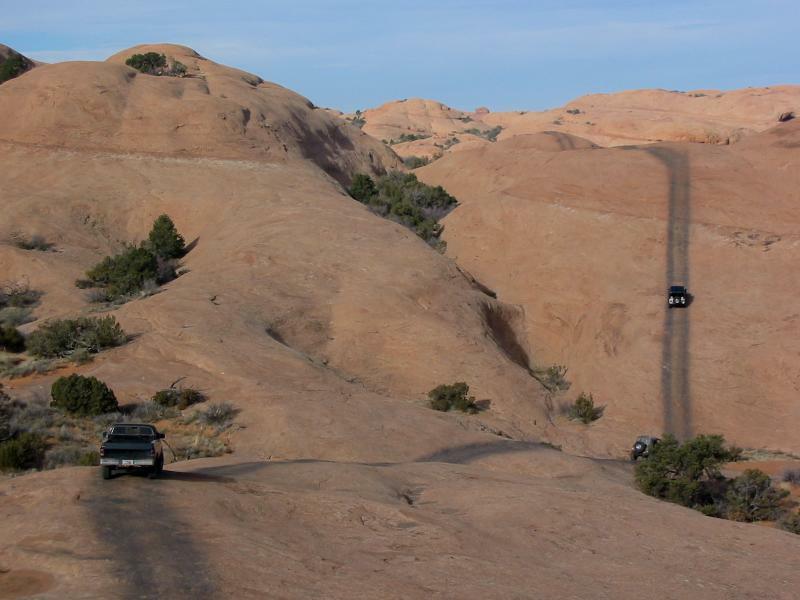 This is a great introduction to the 4 wheeling and scenery of the Moab area.